A program that harnesses volunteers throughout Texas to collect conservation data has been highlighted as a model citizen scientist program in the June issue of the journal Bioscience. 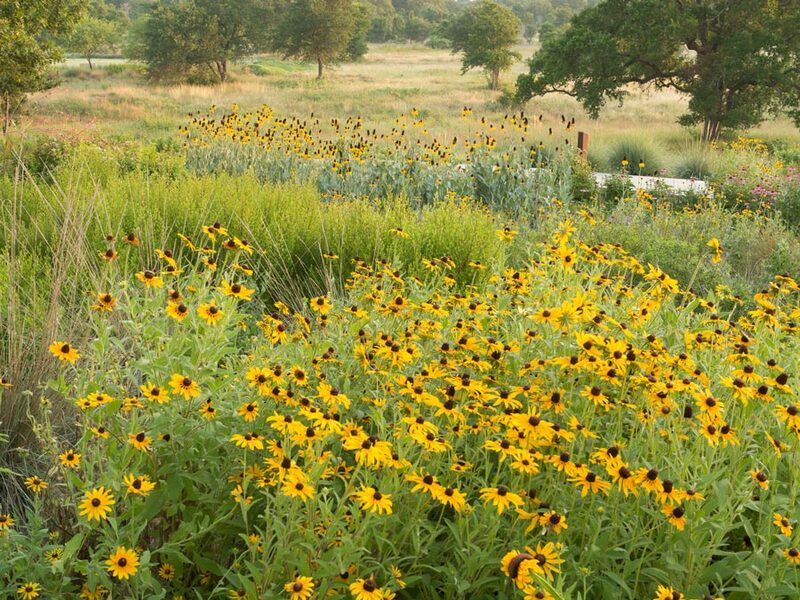 More than 1,100 Texans have been trained by the Invaders of Texas citizen science program of The University of Texas at Austin’s Lady Bird Johnson Wildflower Center to identify harmful, non-native plants in the state. These citizen scientists have logged more than 12,000 observations of invasive plants on a publicly accessible online database that governmental agencies and resource managers can use to monitor the plants that compete with native plants wildlife depend on. Many of these master naturalists and other volunteers participated in full-day workshops overseen by program manager Travis Gallo at the Wildflower Center. Gallo and staff from the Texas Forest Service have conducted these workshops in Corpus Christi, Dallas, Houston, San Antonio and elsewhere. Others have taken online training. In combination, they have provided more than 4,000 hours of data collection — equal to more than $71,000 in labor costs. Their accomplishments have included identifying Japanese climbing fern much farther north in Texas than had previously been realized. For a federally listed noxious weed called Cogongrass, Invaders of Texas citizen scientist recorded a new sighting in the Pineywoods region, allowing Texas Forest Service staff to eliminate its presence from the area before it could spread. Gallo co-authored the Bioscience article about the program with the Wildflower Center’s Senior Botanist, Dr. Damon Waitt. During the training workshops, the citizen scientists learn to use a GPS unit, a digital camera and a simple data sheet to note the location of invasive plants while they are gardening, birding or doing other activities. The plants may exist in their backyards, at parks, or wherever they travel statewide. Each participant enters the data into a personal page at TexasInvasives.org, which is maintained by the Wildflower Center for state and federal partner organizations. The findings are verified by a scientist before joining the official database, from which the data can be downloaded. The Invaders of Texas program is funded by the U.S. Forest Service Forest Health Protection program and the Texas Forest Service. It previously received support from Texas Parks and Wildlife’s Horned Lizard License Plate Conservation Fund.